Companies today are struggling with a new set of complex problems. The sprawling number of personal devices and applications used to access and store business content is becoming a security challenge. 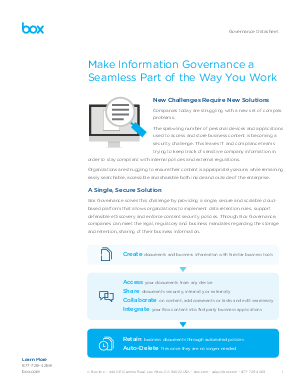 This leaves IT and compliance teams trying to keep track of sensitive company information in order to stay compliant with internal policies and external regulations.